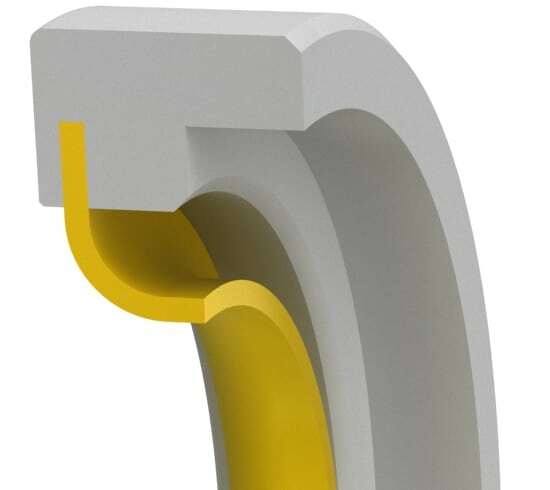 This high-performance seal design incorporates a formed seal lip, mechanically locked into a metal body. This design creates very low parasitic friction under load and adds much lower heat generation than most seal designs. This allows the seal to be used successful at higher peripheral speeds, where heat generation is the primary mode of failure for most seals. The seal is resistant to a very wide range of chemicals allowing it to be used where elastomeric seals cannot be. Selection of the correct lip and body material will allow use in food and pharmaceutical applications requiring FDA compliance. *Standard cross-sections(CS) listed and non-standard sizes can be provided for any shaft size up to 28 inches. 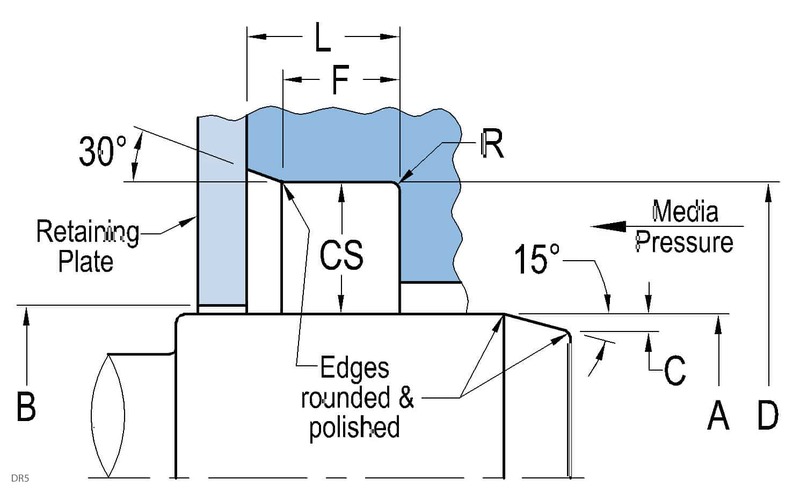 Surface finish:Shaft (A) plunge ground, zero lead, Ra 6-12µin-Housing (D,L) Ra max.32µin. Shaft material hardness 55-65RC. Use of installation tool is highly recommended. See Technical Info for more specific information. Size Table (Metric) Standard Sizes listed below are preferred sizes for new design applications, however, we offer any other seal size as required. Seals are available for any shaft diameter size in 0.01 mm increments, including Functional Range and standard DIN 3760 sizes. *Standard cross-sections (CS) listed and non-standard sizes can be provided for any shaft size up to 710mm. Surface finish: Shaft (A) plunge ground, zero lead, Ra 0.15-0.30µm-Housing (D,L) Ra max. 0.8µm. Shaft material hardness 55-65RC. See Technical Info for more specific information.